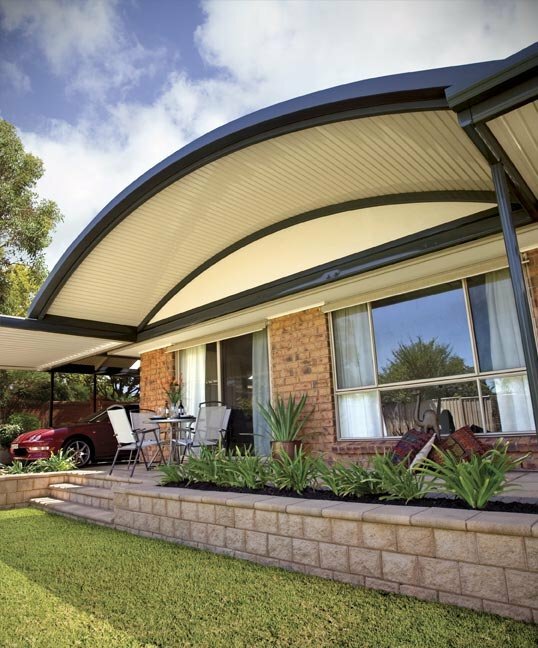 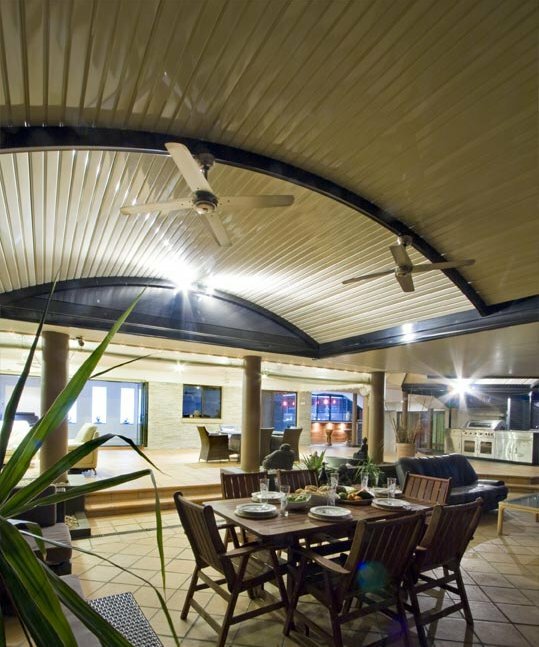 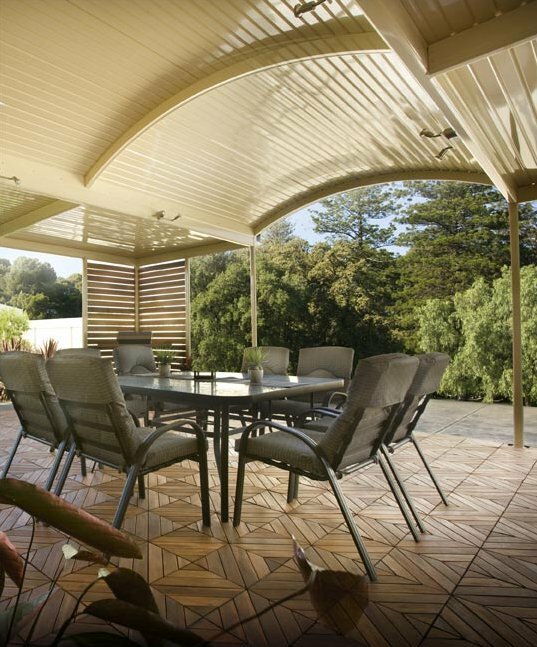 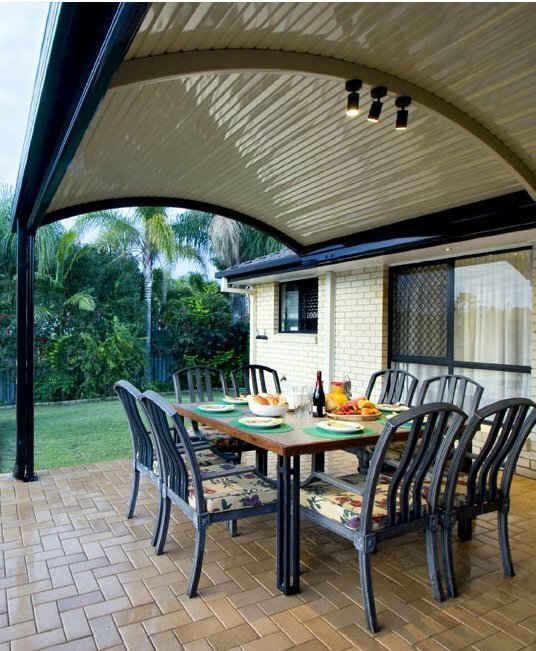 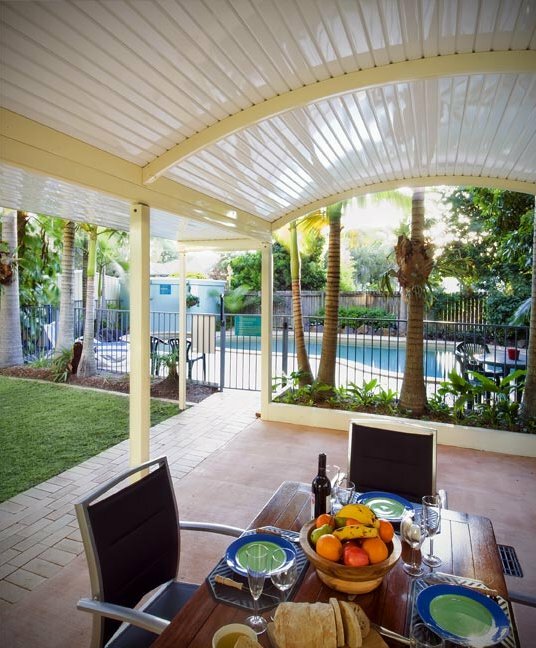 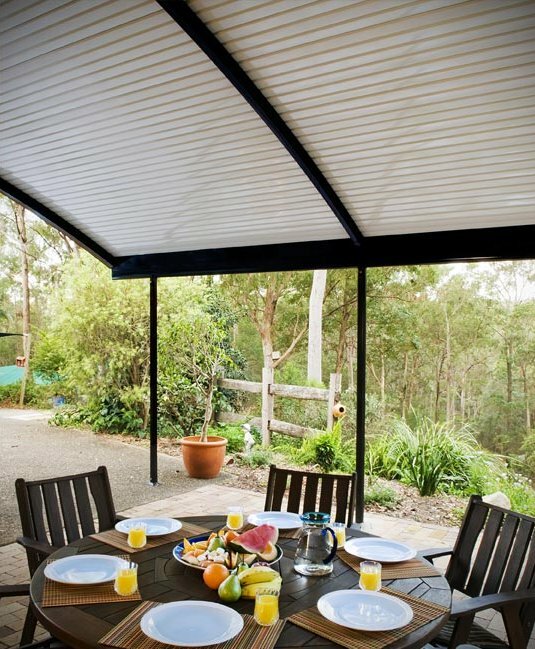 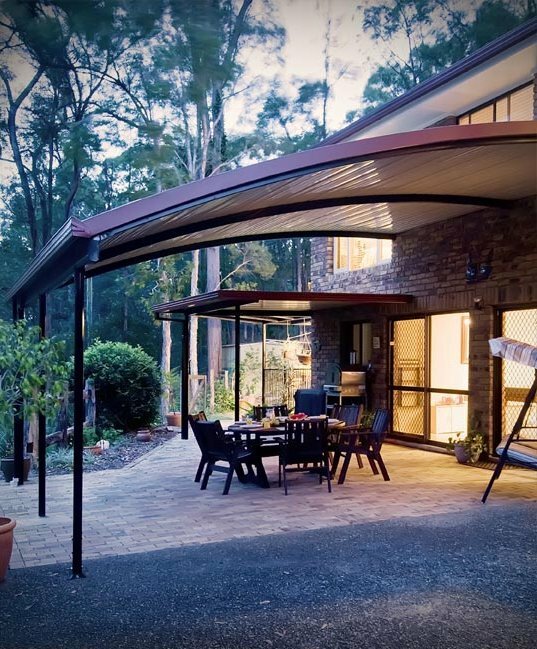 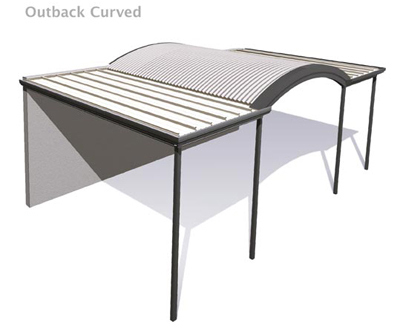 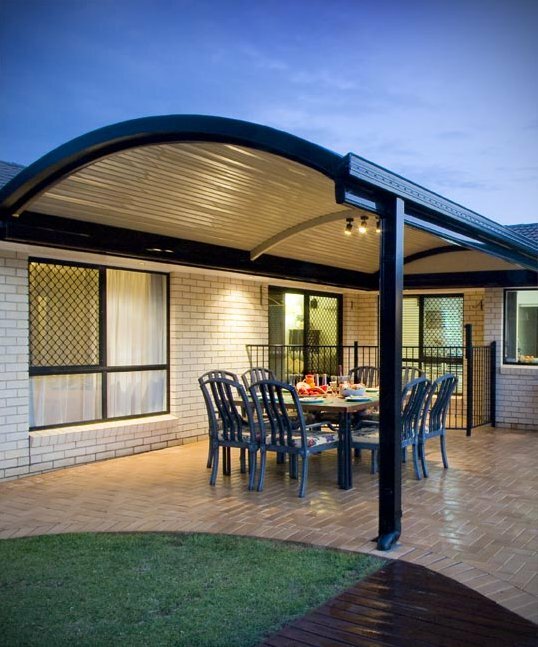 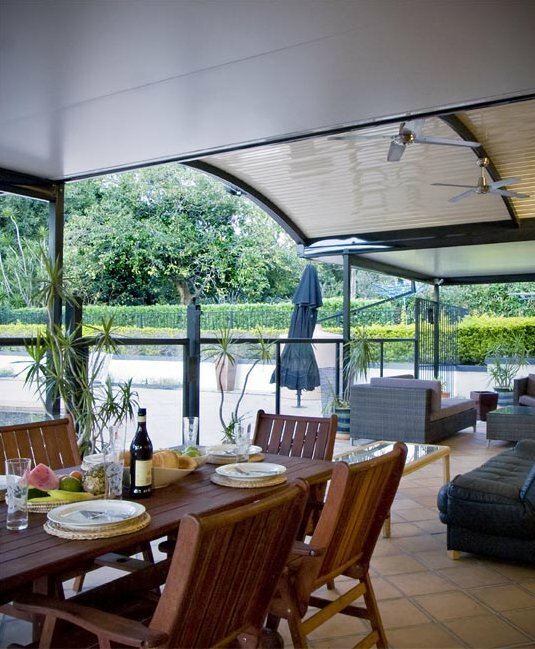 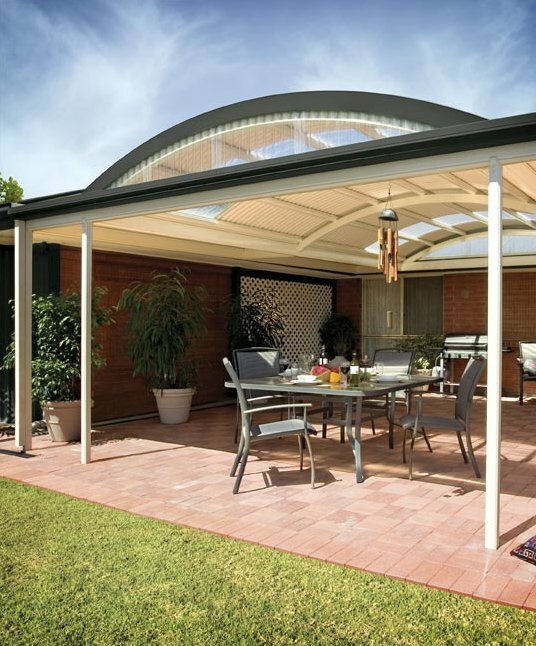 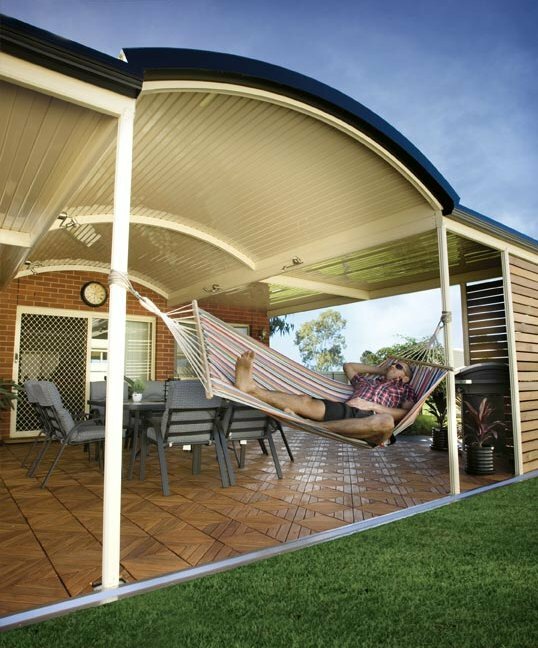 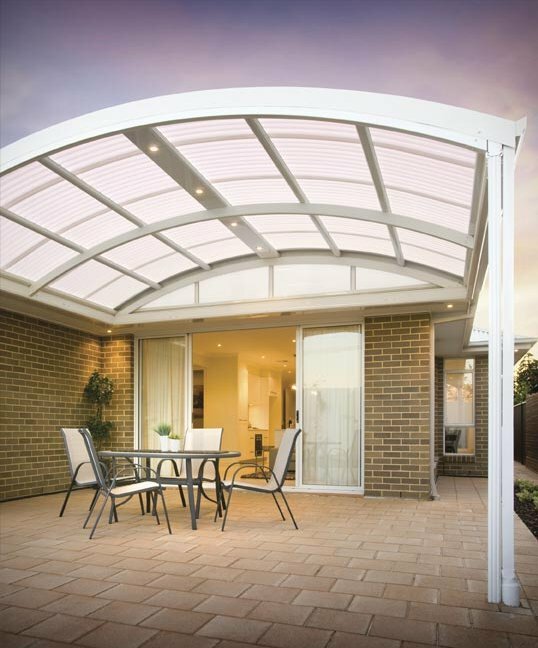 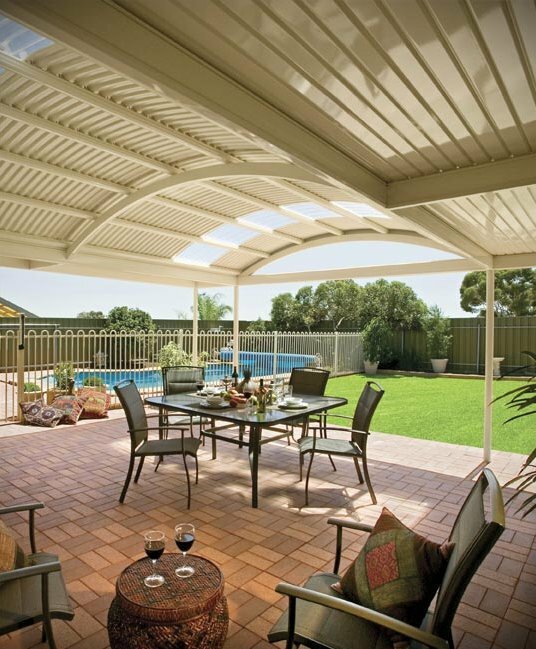 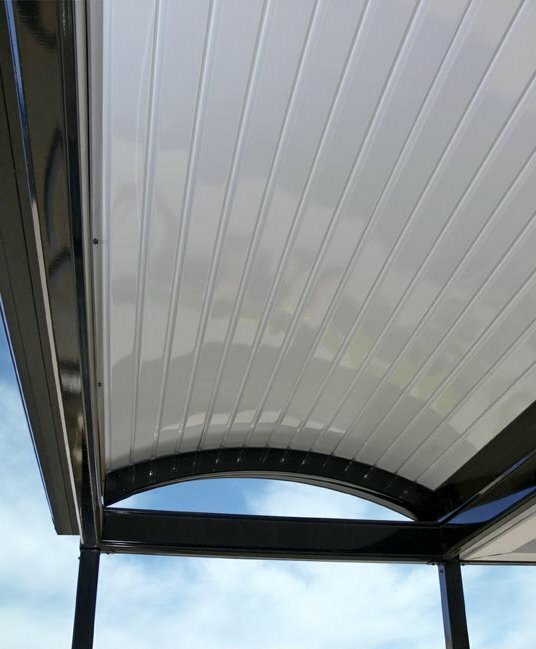 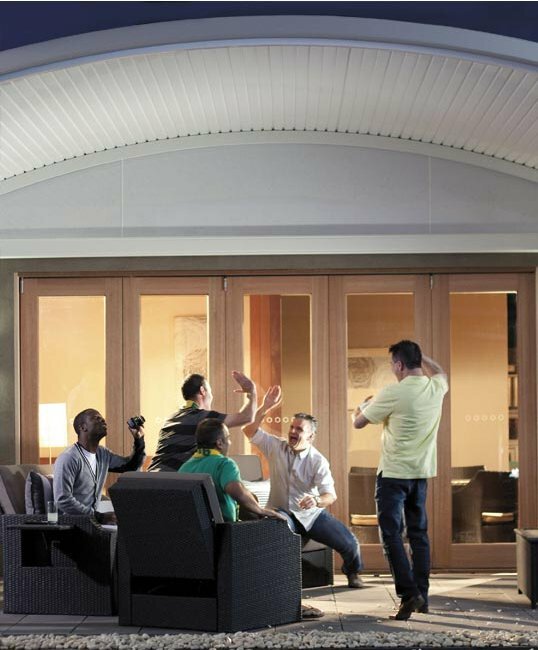 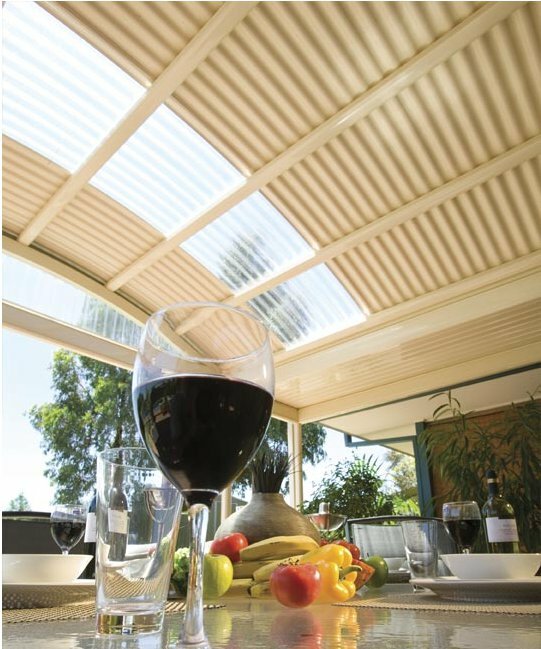 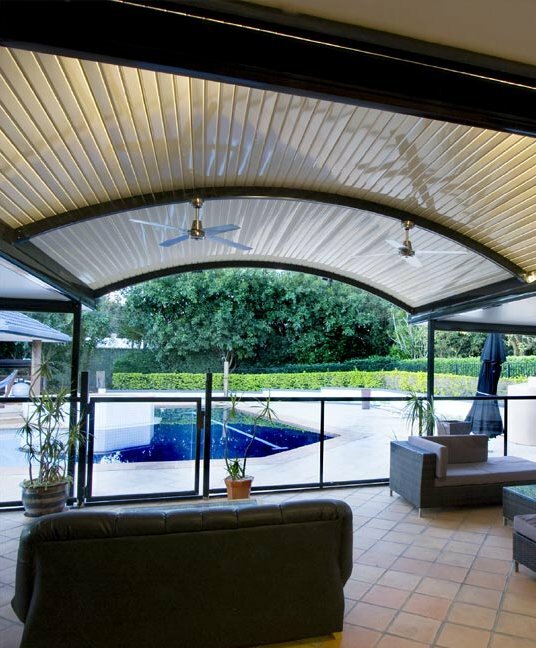 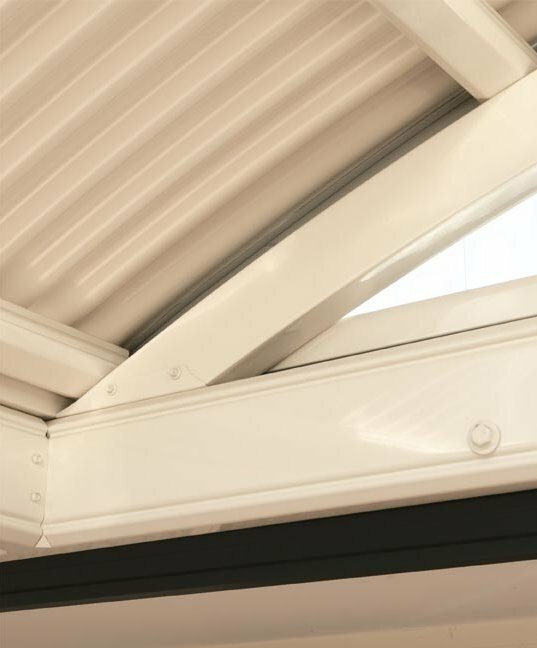 The contemporary form of the Stratco Outback Curved Roof Carport, Verandah or Patio will add value and impart a sense of style and sophistication to your home. 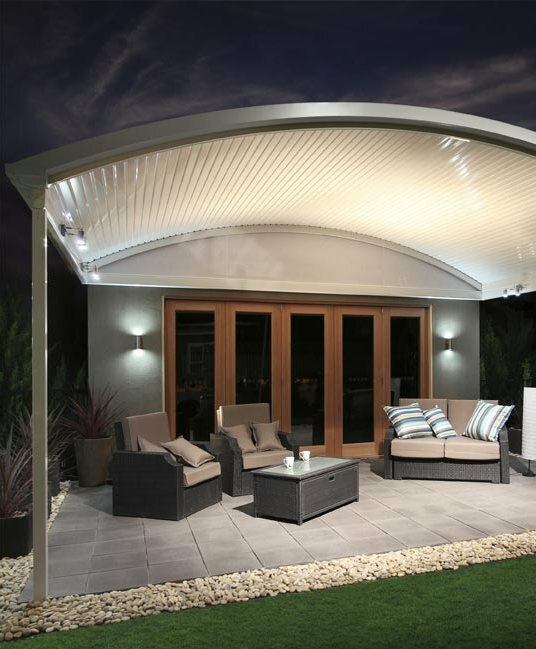 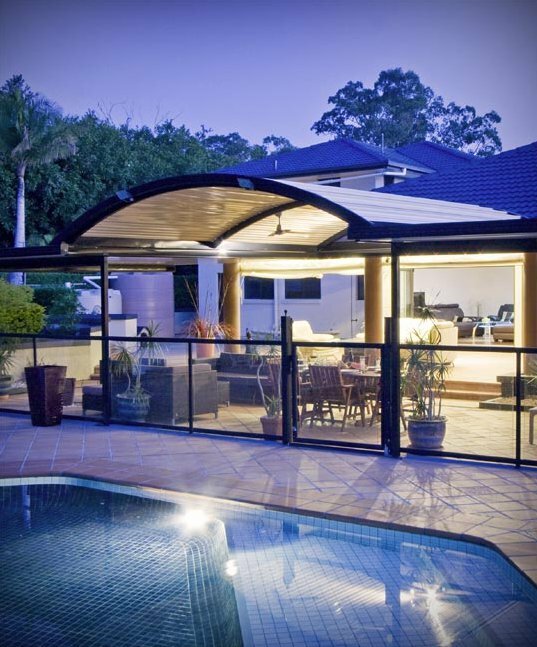 The smooth, clean lines of the curved roofing form a graceful canopy over any outdoor area. 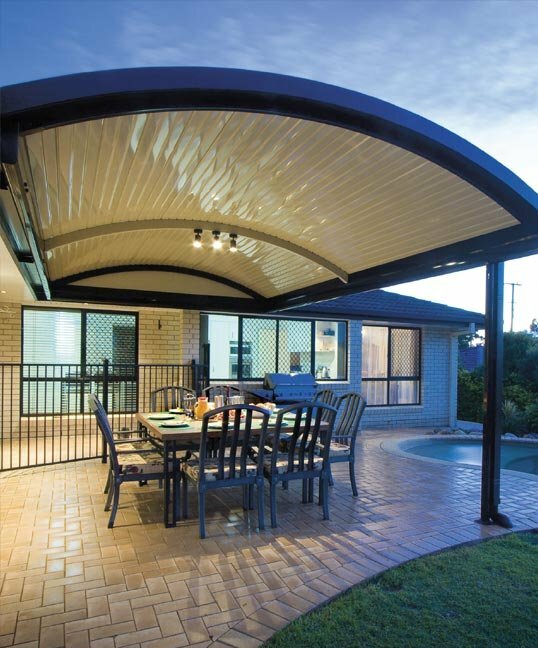 When combined with flat roofing or pergola sections it becomes part of a system, with the elegant curved roof forming the central feature of the design. 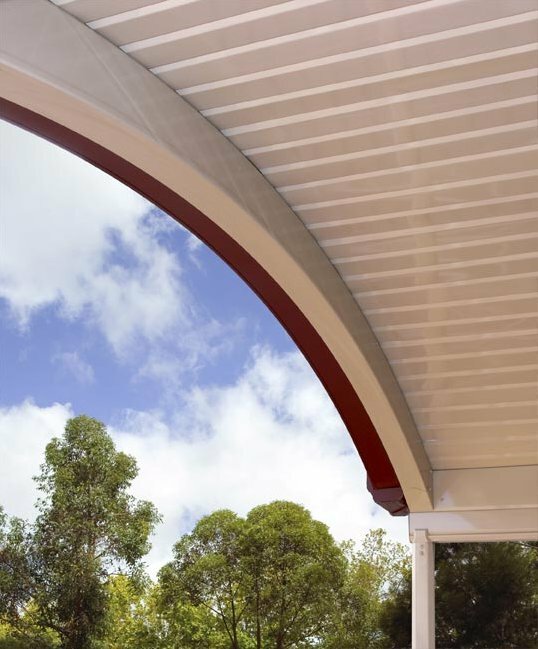 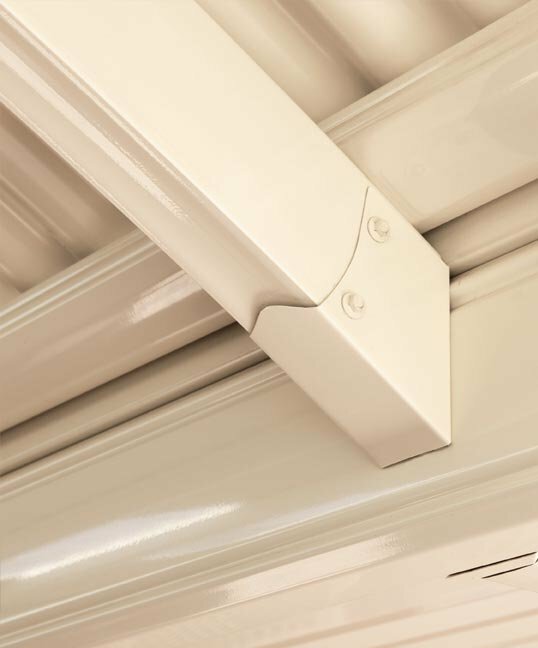 The corrugated steel is supplied pre-curved to the required radius for easy installation.